The versatility of the AF-S NIKKOR 28-300mm f/3.5-5.6G ED VR offers a broad focal length range that s perfect for travel, landscapes, portraits and distant subjects. Optimized for edge to edge sharpness on both FX and DX-format D-SLRs, this 10.7x zoom can focus as close as 18-inches from a subject. The AF-S NIKKOR 28-300mm f/3.5-5.6G ED VR is an advanced lens that helps advanced Nikon D-SLR cameras achieve peak performance. 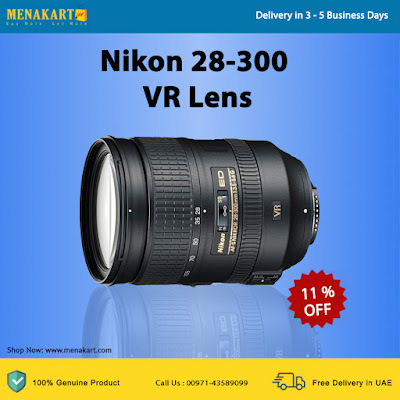 In addition to its powerful 10.7x zoom capability, it boasts many of Nikon s most advanced lens technologies and world-renowned NIKKOR quality glass for unrivaled performance in photography and video applications.